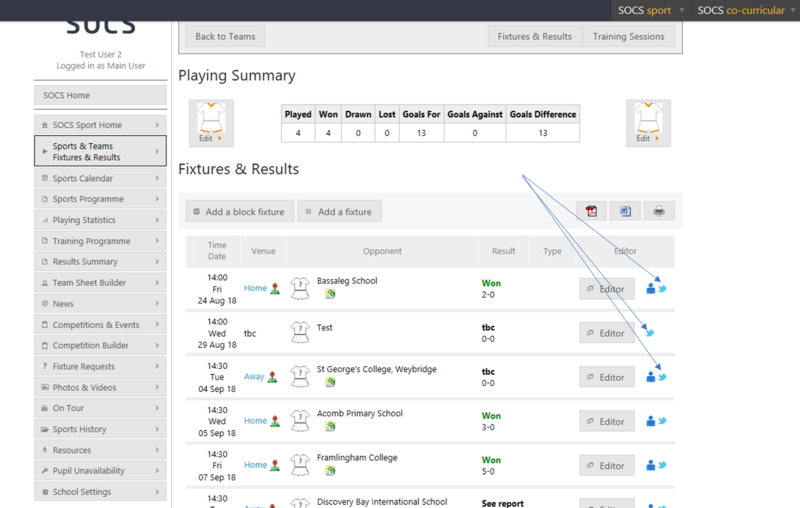 You might have noticed lots of Twitter icons next to fixtures in your fixture lists as shown in the screen shot below. When you then click on any of the Twitter icons next to your fixtures it will pre-populate a Tweet for you making it really easy to Tweet about your sport. The Tweet will also contain a link back to the sports website which really helps to drive more traffic back to your sports website and therefore increase your rankings in search engines such as Google and Bing. 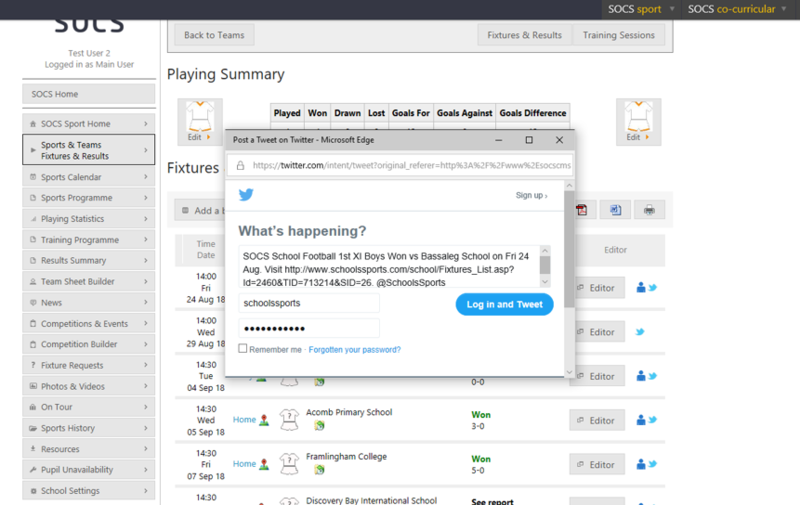 Once your twitter account is setup, all we need to integrate it into the homepage of the sports website is your Twitter account name, e.g. @ColstonsSport. If you have any other further questions then send them by email to support@miSOCS.com and we’ll get back to you.